The Nextup Quickshifter Switch is a versatile unit adaptable to a wide variety of applications to allow full throttle, clutchless upshifting. The unit's versatility includes compatibility with reflashed ECUs that enable a quickshifter function, race kit ECUs and any OEM or aftermarket two-wire application requiring a standalone sensor. Simple and sturdy in construction, the Nextup Quickshifter is the ideal upgrade for smoother, more precise shifting and quicker lap times. The Nextup Quickshifter Switch is available in push or pull configuration and built to handle the toughest race track conditions. Featuring stainless-steel construction with full hex-head wrench flats, the switch is sealed against dust and water and has a beautiful machine finish with durable baked-on epoxy labels. The quickshifter switch is provided with a comprehensive stainless-steel rod kit based on industry standard M6x1.0 thread. The rod kit can be set up in six different ways for easy installation on almost any machine with stock or aftermarket rearsets using standard or GP/reverse shift. * A conversion kit is also available that easily converts the Nextup Quickshifter Switch from push to pull or pull to push should you change bikes or switch to a GP/reverse shift pattern. 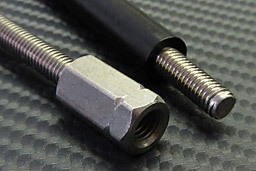 *Note that some Yamaha models may require an M6 to M8 rod adapter. See our parts page for more information. The Nextup Quickshifter Switch is compatible with any OEM or aftermarket two-wire application requiring a standalone sensor. Featuring stainless-steel construction with full hex-head wrench flats, the switch is sealed against dust and water and has a beautiful machine finish with durable baked-on epoxy labels. 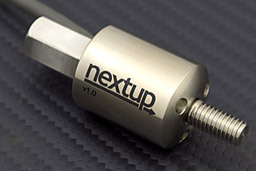 The Nextup Quickshifter Switch is provided with a comprehensive and versatile stainless-steel rod kit that allows six combinations for easy installation on almost any machine with stock or aftermarket rearsets and using standard or GP/reverse shift. Comes with replacement part and special tool to convert pull quickshifter to push quickshifter. Comes with replacement part and special tool to convert push quickshifter to pull quickshifter.